Business and politics do mix. But corporate bosses need to make fine judgments about when it is best to stir things up. The April 1 intervention by 103 UK-based business chiefs strikes the wrong tone. Co-signatories of the open letter that appeared in the Telegraph newspaper say it would be bad if the incumbent Conservative-led government is defeated in the upcoming May general election. They say a “change in course will threaten jobs and deter investment.” They say change would endanger economic recovery. It is a high-risk incursion. It’s far from clear that the Conservative-led coalition deserves the economic praise lavished on them. The policies undertaken since 2010 haven’t worked out as planned. Unemployment has fallen, but wages have not kept up with inflation, GDP growth has been disappointing and the fiscal deficit remains uncomfortably large. Nor is it obvious the Conservative plans for the next five years are massively superior to the rather hazy notions offered by the Labour opposition. Even if the business bigwigs had a watertight case, the responsibility of corporate managers and executives is to work for owners and other stakeholders. It should be assumed that companies, as with many other national and multinational institutions, are politically neutral. There’s a clear rationale why. If business bosses’ lobbying fails and Britain elects a Labour or Labour-led government, business leaders will have disadvantaged their own investors. Legitimate lobbying by business on issues of clear corporate importance – points of tax, regulation or investment, for example – could be impeded. More fundamentally, the referendum on the UK’s membership of the European Union that will follow a Conservative victory could lead to Brexit – a definite bad outcome for business. In any case, the corporate leaders’ interjection strikes the wrong tone after five years of minimal average wage growth. Undecided voters may find it hard to take policy lectures from a minority of men and women who are unlikely ever to have any money worries. Even those investors that share the views espoused by their managers should hope that they keep quiet for the rest of the election campaign. 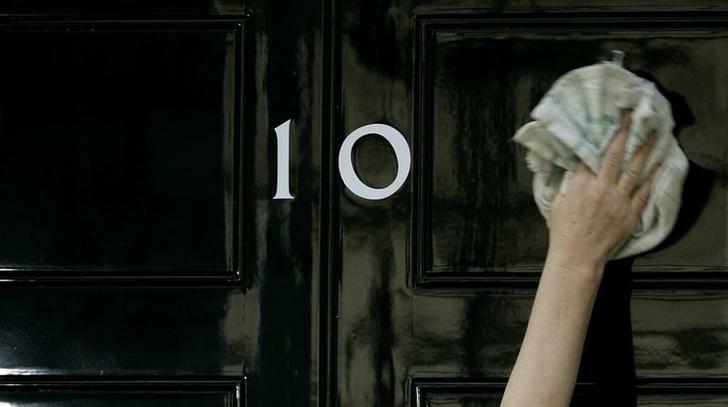 A cleaner polishes the door of 10 Downing Street in London. UK-based business leaders including Bob Dudley, chief executive of BP, the oil major, and Tidjane Thiam, the outgoing chief executive of insurer Prudential, are among 103 business leaders who have signed a letter to the Telegraph newspaper supporting the economic record of the incumbent Conservative-led coalition government.